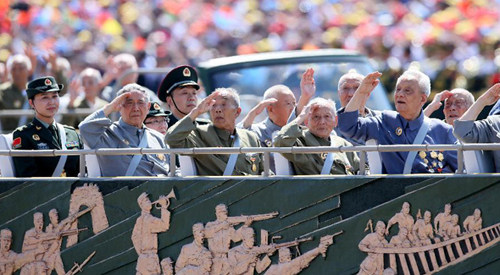 Veterans who fought in the War of Resistance against Japanese Aggression took the lead in a massive military parade marking the 70th anniversary of the end of World War II Thursday morning in downtown Beijing. 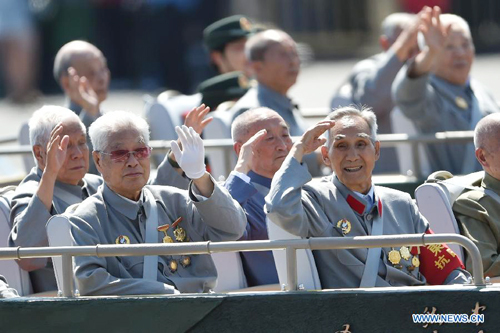 The veterans with an average age of 90, riding in convertibles in formation, represented the counter-Japanese forces led by both the Communist Party of China and the Kuomintang. 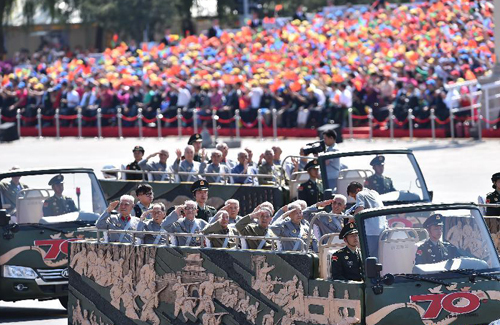 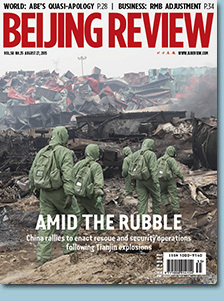 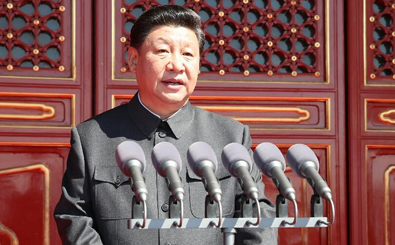 The crowd applauded as vehicles carrying more than 100 war veterans, wearing uniforms adorned with awarded national medals, passed through Tian'anmen Square.